Banks have worked hard to accumulate their vast customer data repositories, and guard them jealously. But Spanish bank, BBVA, has determined the best way to profit from its data is to give it away for free. 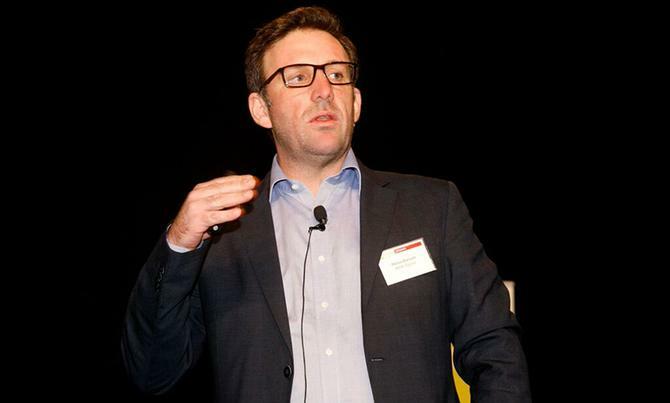 Speaking at FST Media’s Future of Banking and Financial Services conference in Melbourne, BBVA’s chief data scientist, Marco Bressan, said his bank had aggregated all client data into a single view, and was combining that with point-of-sale (POS) and ATM data collected from across Spain. This created a highly dense network of sensors that captured data on one in six transactions. As a result, BBVA could assign thousands of attributes to clients, not based on anonymous zip code data, but individual data sets. “I can really understand payment behaviour at a Spanish level thanks to what these sensors are measuring,” Bressan said. According to Bressan, analysing POS data in this way has given unparalleled insight into how different retailers and retail districts are performing, as it was possible to look at a sequence of transactions and determine patterns of shopper movements. The bank could see what stores generate positive ‘externality’ and shared that wealth with their neighbours. “Thanks to considerations like that one, we are currently giving 4 per cent more credit to small and medium business in Spain with zero per cent increased default rate, looking at evidence-based payment data,” Bressan said. Rather than keep that data to itself, BBVA also launched an application to share business intelligence with retailers across the country a year ago. Shop owners can compare their performance to others within their same category to determine how well they are performing against the market across different demographic categories. It could also help retailers determine shopper movements. “As an example, we know that a certain percentage of women between 25 and 35 have a coffee ‘here’ before going to your store, so maybe you should do a promotion there,” Bressan said. In one study for Madrid’s Gay Pride Week parade, BBVA examined POS data and compared it to regular activity in that neighbourhood. The bank then worked with municipal authorities to determine a more optimal route for the parade to maximise its commercial impact. Two months ago, BBVA opened its anonymised and aggregated payment data pools up to third-party developers. More than 800 developers signed up for access, and 150 mobile applications have since been created. Bressan said many of these apps were ideas BBVA would never have thought of itself, such as a personal organisation app that advised people of the best time to join queues for tourist attractions based on POS data collected from those locations. Another application could analyse multiple data points to determine the best place for retailers to open new stores. “From using the data to improve my business from having a better risk scoring, to improving the business of my clients by providing them with this intelligence, we are going into a completely different business which is selling information based on our data,” Bressan said.